It is a book about a man (George Aspinall) who used a hidden Kodak 2 camera and what ever film (he used xray film) and chemicals he could find during his days as a prisoner in Changi and while working on the Burma railway.I have the old book but it is being re released.Now this is a man who loved his photography and recorded some images that may never have been seen if it was not for his courage.I would like to know if there are similar photography books out there? Do you think is this real story , he could hide camera in prisoner camp ? I doubt really. Oh yes, it is possible, the British prisoners in German camps built and hid radios and also used cameras, they used to trade with the guards, items from Red Cross parcels for cameras, but they used them to produce identity card photographs for false documents used by escapees. The German prisoners in British camps also built and hid radios. When you put a lot of energetic young men in one place for years on end you will see stunning levels of ingenuity, remember that they actually built a full-size working glider in the attic space of Colditz Castle. Colditz Castle is the Eiger North Wall of World War II POW camps. It was the ultimate fortress for the bravest and best, for the most ingenious, most determined and daredevil spirits who had already effected an exit from lesser establishments of the Third Reich. From Colditz, it was boasted, there could be no escape. The stories of those Allied officers who took up the challenge are now well known. But here for the first time a book gathers together a collection of the authentic official German photographs, actually taken on the spot within hours of various foiled escape attempts being discovered. Sometimes they are pictures of the stable door after the horse has fled successfully over the distant border. They were taken between the years 1941 and 1944 by Johannes Lange, a local Colditz town photographer of weddings and christenings, deputed by the Third Reich to record what the war's most persistent escapologists were up to. 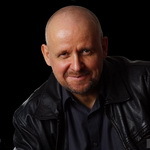 Ron Baybutt has travelled widely in the United Kingdom and in Europe to talk to former inmates of Colditz and, with their help, has reconstructed the stories behind the pictures. Sometimes they are continuing stories, such as that of the French lieutenant who has kept up a friendly contact over the years with the German jobbing electrician he tried to impersonate. There are stories of laboriously ambitious long-term tunnelling, and stories of outrageous opportunism, of classic escapes down knotted bed sheets and impudent impresonations of German officers. Lange's persistent camera also recorded escape equipment ingeniously devised by the backroom boys, from a compass in a walnut shell to a glider which was mercifully saved from the ultimate test of the launch pad by the end of the war. The stories are desperate and amazing, funny and tragic by turns, but always exciting. 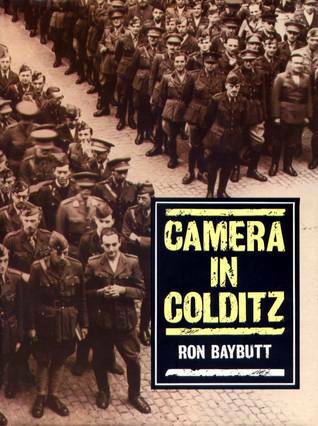 'Camera in Colditz' is also a tribute to the ingenuity and invincibility of the human spirit. Thanks Ian.I find these books encouraging, for what these guys faced and then to be courageous enough to photograph it! Yes Attila it is real ,I was trying to find a link to show the few photos that survived and appear in the book, of the leg ulcers suffered,the Japanese guards,POW's while in Singapore.He eventually broke up the camera and destroyed it due to the Japanese secret police.... because of the risk to himself and others. Presumably a pinhole camera could be constructed quite easily, and the lens from reading glasses might be used. I suppose what should be remembered about the prisoners in a lot of these camps is that they were not professional soldiers. many were expert craftsmen or had a knowledge of labs etc from their previous life, this is portrayed in an exaggerated way in "the great escape" movie but in essence it captures the wide range of abilities these people had. There were a number of observers and photographers shot down during reconnissance missions, i would assume they kept up their profession in whatever small way they could while interrned. As we know, the developing of film isn't too difficult, even in a prison camp, it's the fixing that's a challenge. I'm utterly sure I read in some book of a similar nature to the one under discussion how the author managed to fix the images using available chemicals. I simply don't recall what it was though, and that vexes me, because as an alternative to standard fixer it would be very interesting, along with alternative home/domestic chemicals to develop with. When I messed around with caffenol I tried to find any info on alternative fixing, but none came up. From what I have read when he found the x-ray film he also found some developer and fixer...this he used until he finally had to destroy the camera.Sadly there is no reference to any other ways of fixing the film.He apparently found the fixer by sniffing the bottles until he found what he thought was the right one! From what I have read when he found the x-ray film he also found some developer and fixer...this he used until he finally had to destroy .He apparently found the fixer by sniffing the bottles until he found what he thought was the right one! He was, you could say, and i hope i'm not being flippant here doing valuble war work and getting high!